The new AC Hotel is the first of its kind to enter the area. The European style hotel was born from the signature vision of renowned hotelier Antonio Catalan. With a combination of sleek, contemporary styling, intuitive service and exceptional amenities, the AC Hotel is thoughtfully designed with a modern interior and carefully curated to provide a harmonious experience. From the glass facade to the exquisite artwork, this new property provides moments of beauty to elevate your stay. 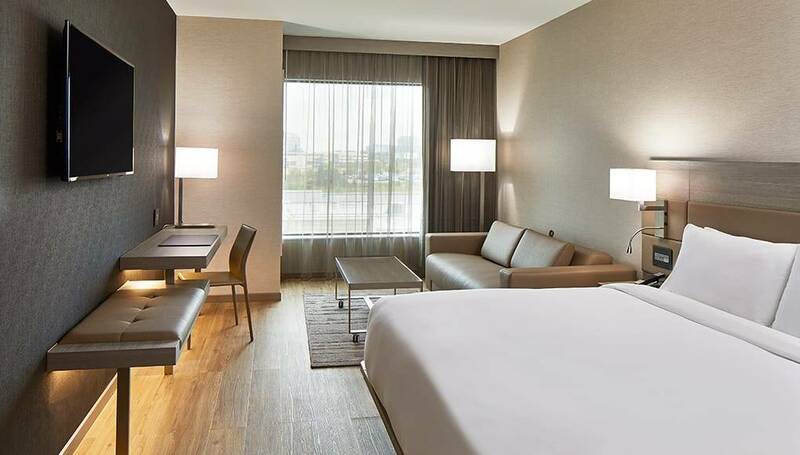 Enjoy tapas-style small bites and local craft beer in the AC Lounge, work and collaborate in the AC Library, or relax in one of the 145 design-savvy guest rooms with sleek furnishings.